Congratulations to globalite, who is this month's blog winner! We'll get in touch with you to arrange for the delivery of your prize, a copy of Adventures in MochiMochi Land and a Nova Platina Cubics DPN Set! Today, we have an extra-special interview with a designer whose work has been exhibited internationally: Anna Hrachovec of MochiMochi Land! You may recall Project Gnome Diplomacy from earlier this year, which culminated in an art installation in South Korea. Anna's work was also recently on display at Vogue Knitting Live Chicago, an event we were proud to sponsor. We hope you'll get to know Anna just a little bit better in today's interview. Enjoy! 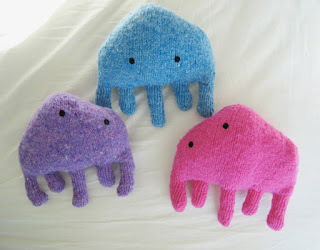 How long have you been knitting, and how did you get started designing toys? I started knitting when I was 18, so it’s been a good 15 years now. I began designing toys on a whim, when I wanted to make something fun as gifts for my friends—I was a little bored of knitting things to wear and washcloths and so forth, and wanted to create something more unique. My first designs were simple toys that I knitted flat and stitched together, and they were actually in the shape of the logo of the gallery that I worked at at the time. I was so in love with these creatures that right away I knew I wanted to design lots more toys. This was in 2007, and basically I just haven’t stopped knitting toys since. Early on I started a blog, and maybe because there weren’t a lot of patterns for knitted toys at that time, people took notice pretty quickly, and after a while I figured out that I could make a job for myself out of designing. My inspirations have come from all kinds of sources, but more and more I like to think of my designs as existing in their own world together, so I’m often thinking about landscapes and environments and also relationships between things, conflicts and cooperation. So I get a lot of ideas from our own world, and also from things like Japanese design and classic cartoons. How did you get involved with Nickelodeon? 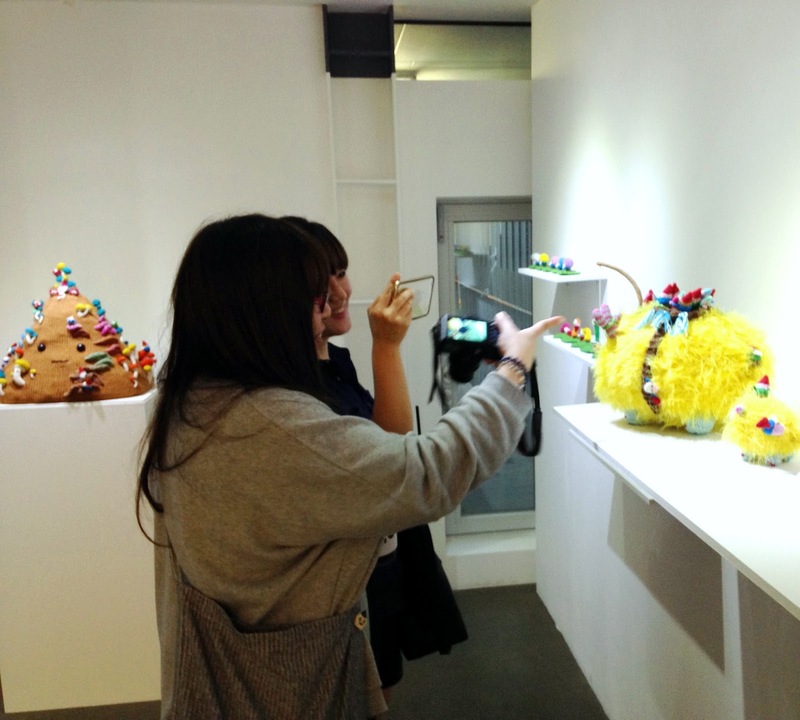 The creative director for their on-air promotions had seen some of my creatures at gallery hanahou (the NYC gallery that I had worked at and that inspired my first toys), and after expressing interest in working together for several years, he finally made that happen via my agent in 2013. I had actually just moved to Chicago when that happened, so one of the first things I did when I got to Chicago was go back to NYC to work on those animations, which made the whole thing extra surreal. We loved Project Gnome Diplomacy earlier this year. How did the exhibit go? Can you share any photos or stories? Thank you! It was such a fun project to just ask people to send me gnomes that they’d made and get all kinds of surprises in the mail. (I got 333 gnomes in the end!) The show at Everyday Moonday gallery in Seoul went really well—it was a big task to set it all up (we basically spent a whole week in the gallery), but the response from the people who came to see it was really warm, and I heard that lots of people brought kids to see it during the month that it was on display. The gnome diplomats are currently being distributed to people in Seoul via the gallery’s cafe (shown above)—each one has a little note with it saying something like “take me to your favorite place!” or “give me to the first person you meet!” I love to think about the care that the knitters and crocheters put into making these little guys and the way that they’re being given to strangers on the other side of the world just for the sake of spreading fun and little surprises. 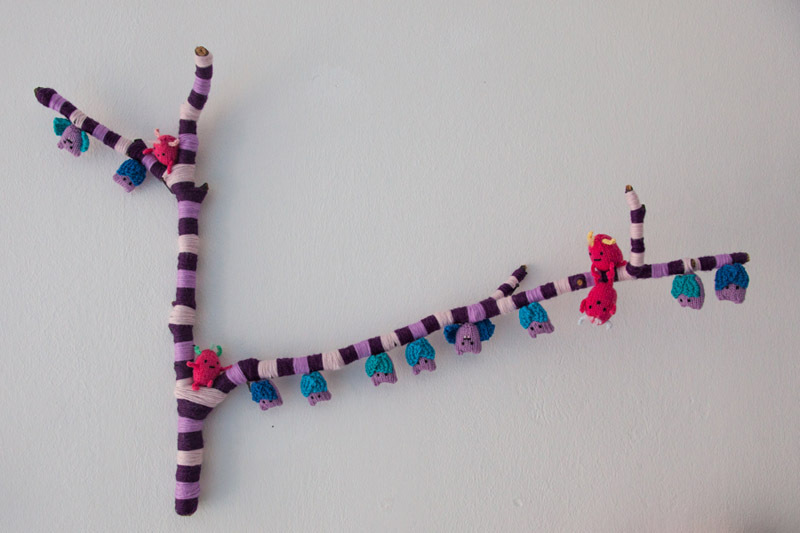 Where else has your work been exhibited outside of the knitting world (or inside it, if you prefer!)? I was lucky enough to be invited to show my work twice in Berlin for the wonderful character art festival that Pictoplasma holds annually. Like with "The Gnome Genome Project" in Seoul, I took those opportunities to do something really different with Mochimochi Land, and challenge myself to explore new forms that my world can take. I’ve also shown my work in NYC quite a few times, and also in Ann Arbor, thanks to the cool people at the district library there. And I’ve had a blast showing my work at many Vogue Knitting LIVEs around the country. 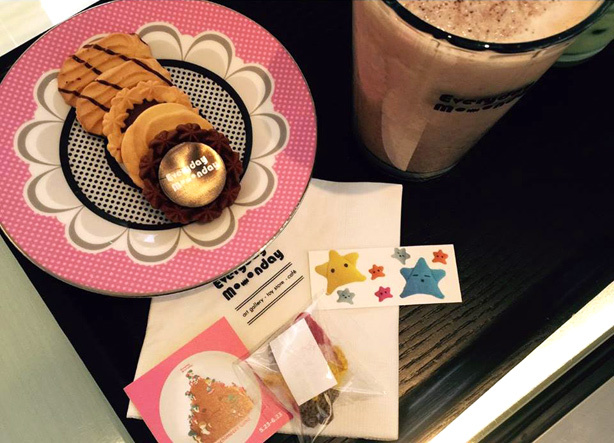 What does MochiMochi Land have in store for us this holiday season? I have a fun holiday pattern planned for release that I'm quite fond of! And if all goes well, there will be a little animation starring the new characters coming this December too. Anna Hrachovec is a Chicago-based designer and artist who combines her passions for knitting and characters to create cute and weird toys that all ages can get excited about. 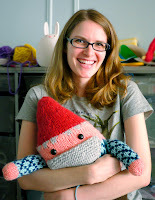 When she's not designing patterns to share with her fellow knitters, she is working on character-based art pieces and animations. In 2013 and 2014, her creations were featured in animated holiday network IDs on Nickelodeon. 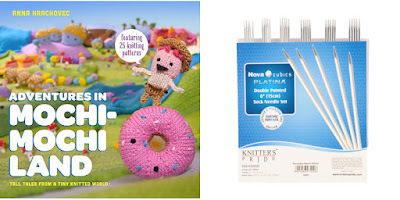 Anna has written five books of patterns for knitted toys, the newest of which is Adventures in Mochimochi Land, a combination storybook and pattern book. Her patterns and blog can be found at mochimochiland.com. 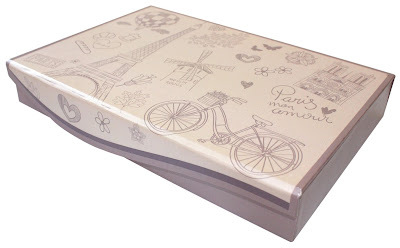 2015 Gift Set Reveal + A Giveaway! We’re pleased to introduce the 2015 Gift Set from Knitter's Pride: Royale - The Luxury Collection! 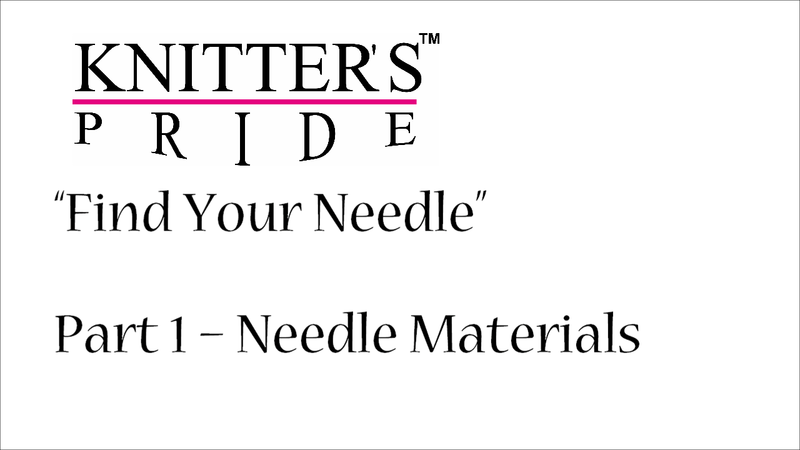 This interchangeable needle set is a wonderful gift to give and get this holiday season. 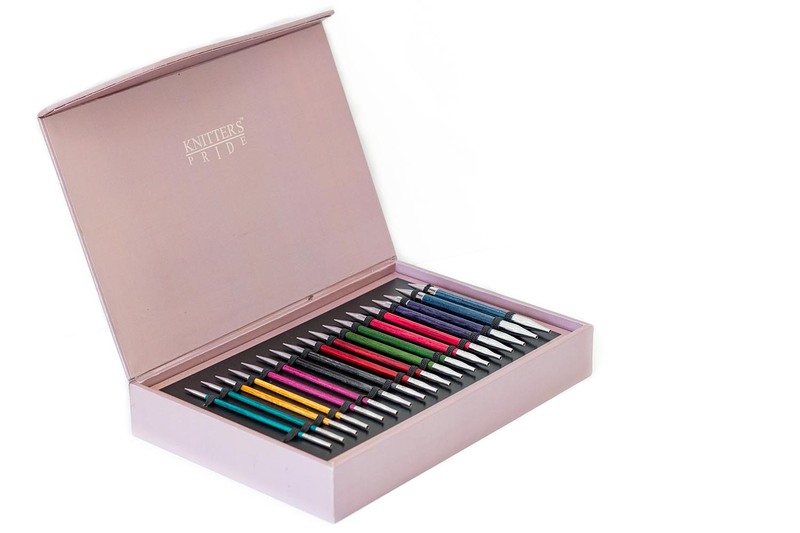 This specially-packaged set includes 9 interchangeable tips made from color-coded wood in a striking new striped pattern; we’ve added shiny brass tips to the ends of each needles and lazer-printed sizes on each metal connector. 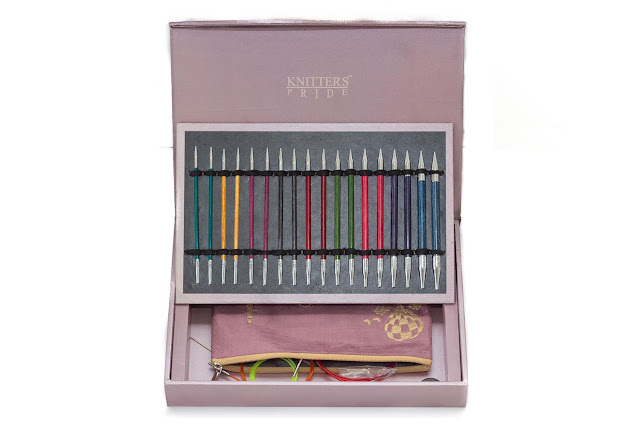 The unique combination of wood and metal not only gives a refined look to the needles, but also provides an incomparable knitting experience. Sizes include: US 4, 5, 6, 7, 8, 9, 10, 10.5, and 11. All of the accessories are carefully packaged in a stylish Paris-themed silk fabric pouch that can be used for multiple purposes, and the set itself is presented in a specially designed box with pearly effect. As always, the 2015 gift set is available in limited quantities for the holiday season. They will begin to arrive at an LYS near you soon! 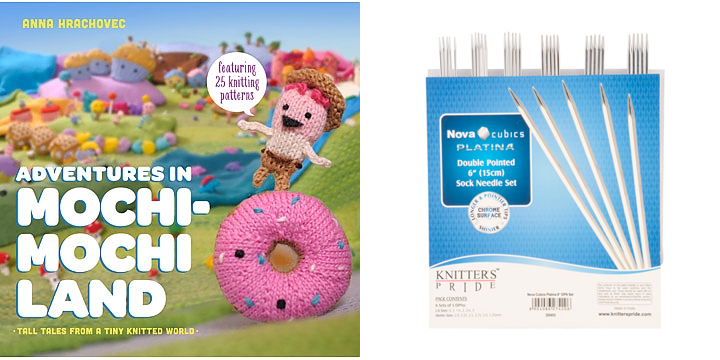 Be sure to ask your preferred Knitter's Pride retailer to order these sets while supplies last! We'll be having a special guest for our Designer Spotlight on our next blog post - can you guess who? Share your best guess in the comments to be entered in our prize drawing to win a copy of Adventures in MochiMochi Land and a Nova Platina Cubics DPN set! Be sure to also mention your Ravelry ID or email address so that we can contact you if you win. We'll randomly select a winner to announce on Friday, October 23. Good luck!